The Samsung Galaxy C5 just burst on the scene and online stores in China are already accepting pre-orders (the actual sales are scheduled to start on June 6). 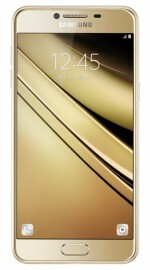 The Galaxy C5 is a slender metal mid-ranger, it's just 6.7mm thick. It also has a 5.2" Super AMOLED screen (1080p resolution) and runs Android 6.0 Marshmallow. The Home button below the screen is a fingerprint reader. You get a better camera than the A5 (2016), a 16MP f/1.9 shooter on the back and an 8MP f/1.9 camera on the front. The chipset is fairly similar - Snapdragon 617 (eight Cortex-A53, Adreno 405). A sealed 2,600mAh battery provides the juice. The Galaxy C5 is a dual-SIM phone, a hybrid slot so you can fit a microSD instead. Additional connectivity includes 4G LTE, Wi-Fi a/b/g/n, Bluetooth 4.2 and NFC (with Samsung Pay support). 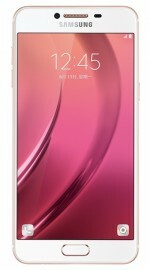 If you're in China, you can pre-order the 32GB Galaxy C5 for CNY 2,200 ($335/€300) and the 64GB one for CNY 2,400 ($370/€330). Outside of China, well, stay tuned. 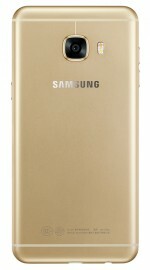 No word on the bigger Galaxy C7 either.